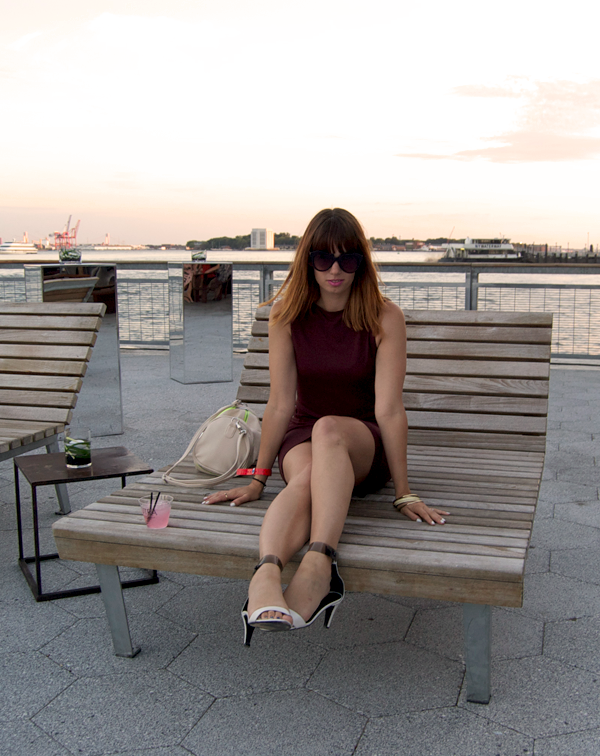 Thursday night I was invited to the Watermark Bar launch party down at the new Pier 15 at the South Street Seaport. I thought this would be a great opportunity to have a night out with the fiance and dress up a little. 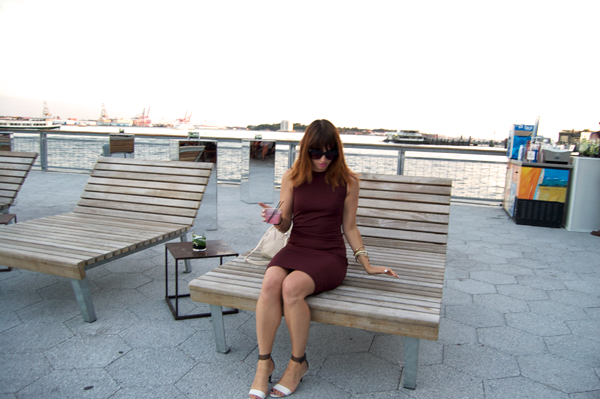 I needed an excuse to wear this T by Alexander Wang dress that I risked my life for. 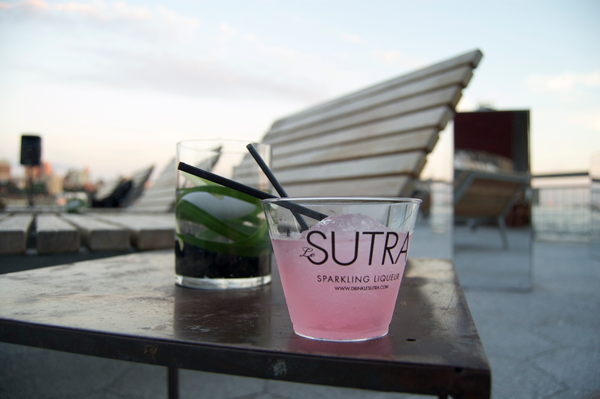 Plus, I mean what more could you want, free drinks (ummm snow cone cocktails to be exact) and free snacks. 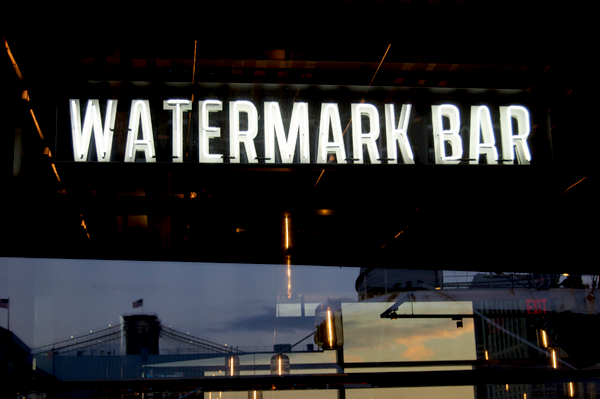 The Watermark Bar is unlike anything I have seen in NYC, in a good way. It's all about the outdoor space, with wooden lounge chairs in the back giving it a posh poolside feel. 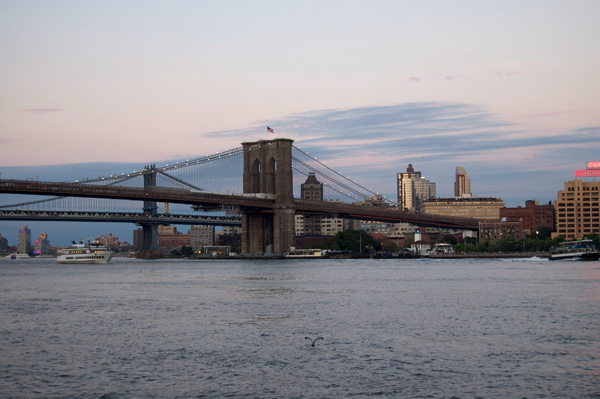 You can even sit table side by the East River. 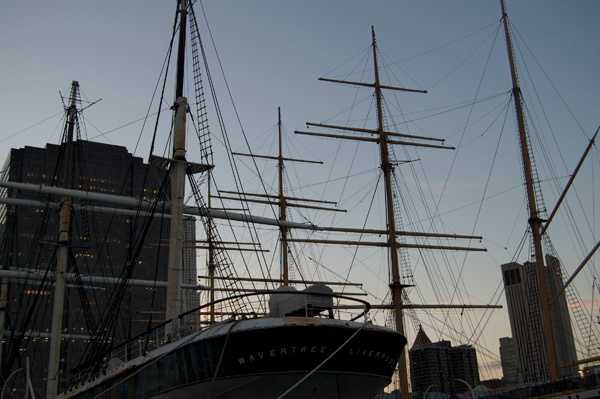 The view at the South Street Seaport is one of the most beautiful views especially during dusk. This is surely a must stop for after work cocktails. 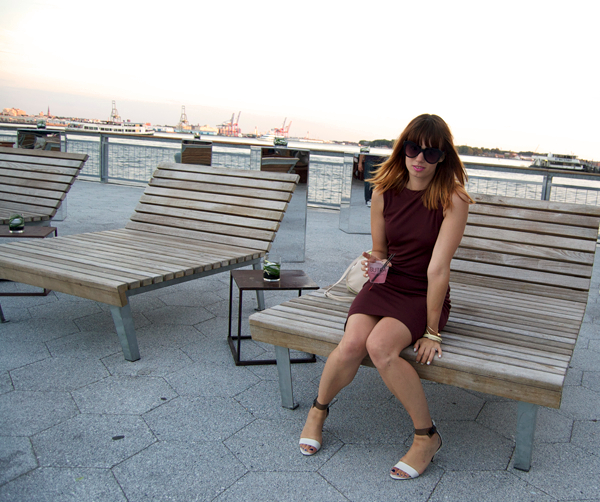 Watch out rooftop bars there's a new guy in town! That dress was definitely worth risking your life for! Hah! It fits you like a glove & it's such a nice colour. This place looks amazing, it doesn't look like NY at all, it reminds me of somewhere on one of the Spanish islands like Ibiza! Those shoes...that bag...omg! The look even better with that dress color...great finds. I'll have to check out that bar, I'm not in that area much but the view from down there is always striking!